For years the Horn of Africa nation Djibouti was seen by foreign powers as a far flung military outpost overlooking the Gulf of Aden. Now the strategic port wants to capitalise on its key position on one of the world's busiest shipping lanes, the gateway to the Suez canal. Djibouti offers an African base across from the Arabian Peninsula at the crossroads for cargo traffic between Asia and Europe. It may be a tiny country of around 850,000 people, but it has a bold ambition to become the commercial hub of eastern Africa, building on its role as the main port for landlocked Ethiopia, Africa's second most populous country. To achieve that the former French colony has embarked on a series of infrastructure projects expected to cost some $US14 billion. Offshore from historic Djibouti city, the waters are crowded with a mix of hulking warships, giant container cargo vessels and the traditional wooden fishing dhows that have plied the seas here for centuries. But a short drive away, Chinese workers are busy building a giant new terminal dedicated to container ships from Asia. Work is concentrated on the first of six new specialised docking terminals - each one focusing on different commodities including minerals, livestock, oil and gas - to add to the two terminals already in operation. 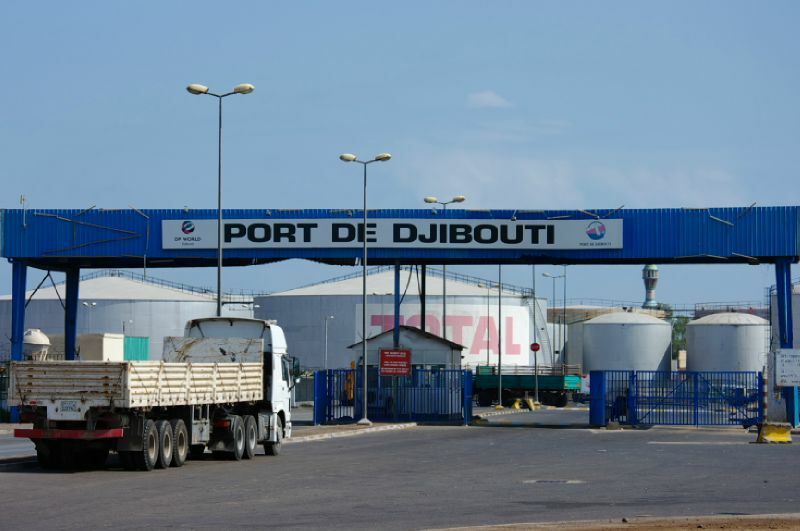 "More and more shipping lines are interested in Djibouti, we are now making the way to be a Dubai, even Singapore," said Suleiman Ahmed, a senior executive at Doraleh container terminal. It has increased between six and 10 per cent each year, with Djibouti enjoying growth partly because other regional ports are struggling. Kenya's port city of Mombasa is already overstretched, while the secretive Red Sea state of Eritrea sees little if any traffic. "Mombasa is congested, Eritrea is not a welcoming country, but Djibouti is a strategic and safe location - we rely on it," Ahmed said. In a volatile region, Djibouti hopes to build a reputation of stability and security. It hosts several foreign military bases, including Camp Lemonnier, the US military headquarters on the continent used for covert, anti-terror and other operations in Yemen, Somalia and elsewhere across Africa. France and Japan also have bases in Djibouti, which has been used by European and other international navies as a base in the fight against piracy from neighbouring Somalia. Earlier this month, President Ismail Omar Guelleh told AFP that "discussions are ongoing," with China concerning a potential military base, saying Beijing's presence would be "welcome". Djibouti now wants to position itself as the gateway for Asia into Africa. "From Egypt to South Africa, the eastern coast of Africa has only nine coastal countries," said Abubaker Omar Hadi, chairman of Djibouti Ports and Free Zones Authority, waving his hand over a map of the continent on the wall of his office. "This has created 10 landlocked countries, 400 million people who have no access to the sea. They are the ones we want to serve." For now, Djibouti mainly serves Ethiopia's 94 million consumers. As well as its massive port expansion, Djibouti wants to add two new airports, a modern railway and build industrial areas. At present, the country's small airport sees French Mirage fighter jets share its one runway with civilian aircraft. But the government plans to replace that with an international airport with a capacity of 1.5 million passengers annually. A total of 14 infrastructure projects are planned in Djibouti, mainly financed by Chinese banks. But some are wary of such huge investments for a country with less than a million people. "There was no market research and parliament was never consulted," said opposition lawmaker Doualeh Egueh Ofleh, who said he was worried about the financial risk the projects could pose. "When we take the loans from the World Bank and Western institutions, there was some control ... now with the Chinese, we take all possible loans for all projects without any control," he added, predicting Beijing would control the country's infrastructure if Djibouti failed to repay its debts. But Djibouti's government is betting on strong African economic growth to recoup the investment. "Even before Dubai, Singapore and Hong Kong, the economic and maritime hubs in the region were Aden and Djibouti," says port authority chief Abubaker Omar Hadi.